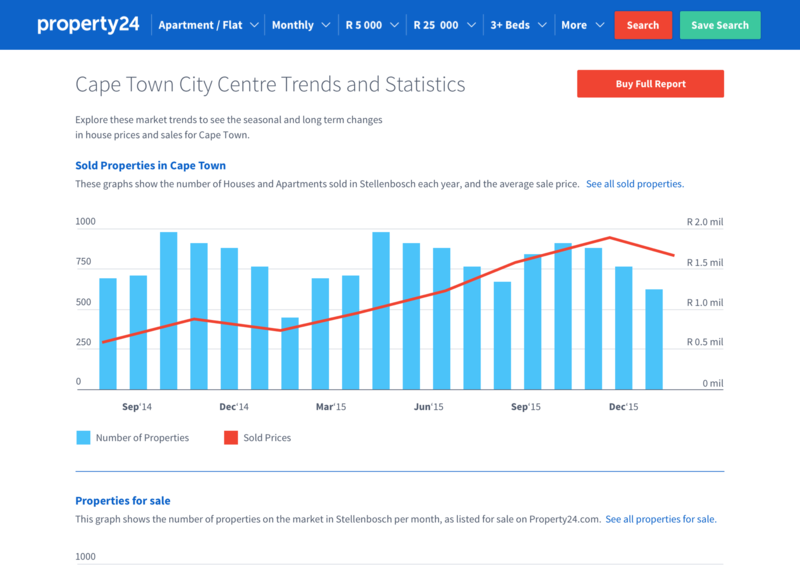 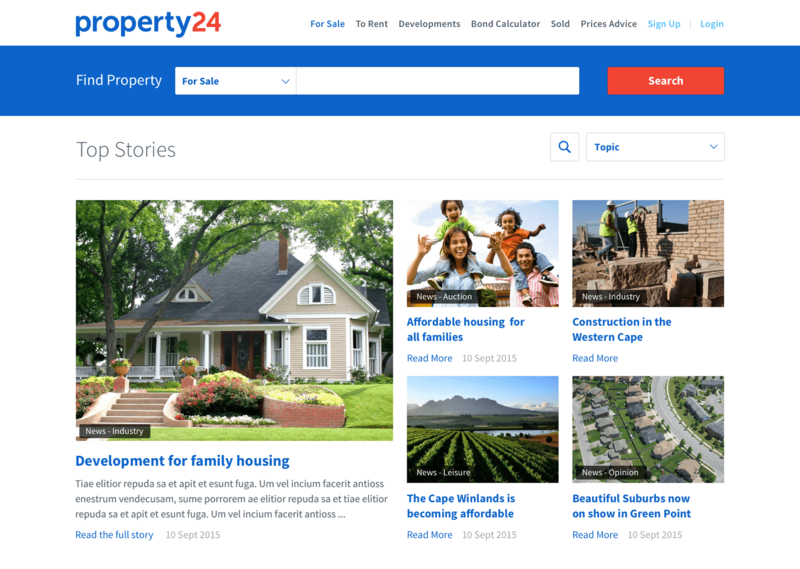 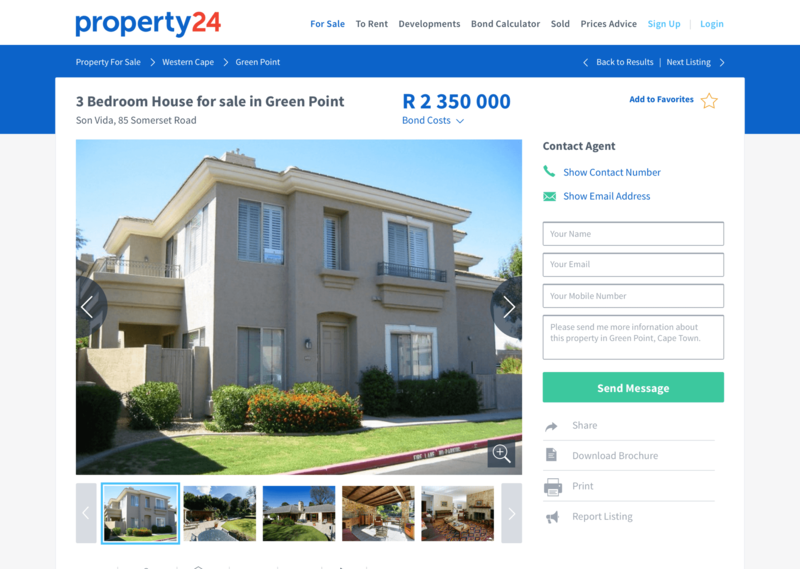 Property24 is South Africa’s number 1 property website, and one of the country’s most successful online classifieds. 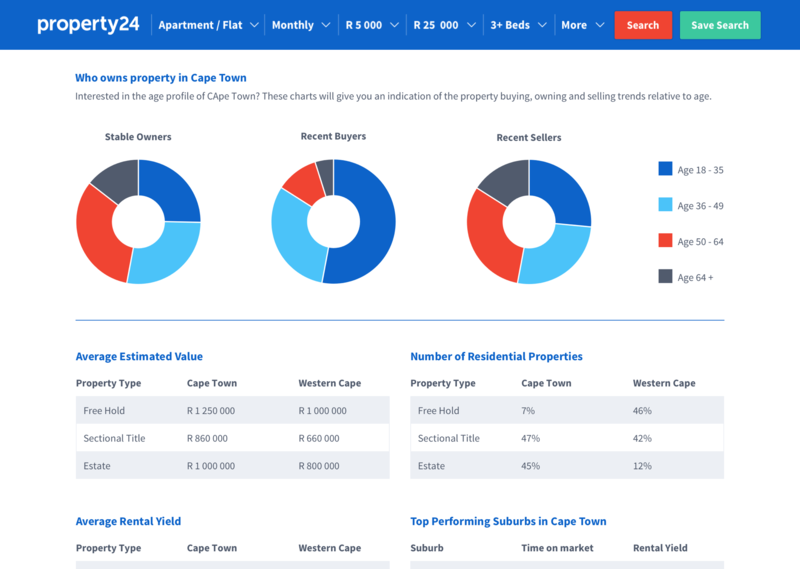 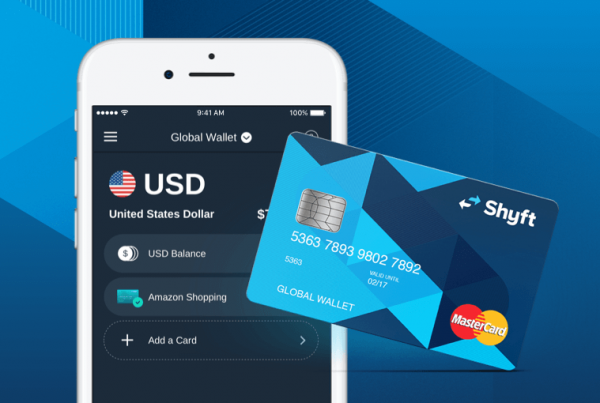 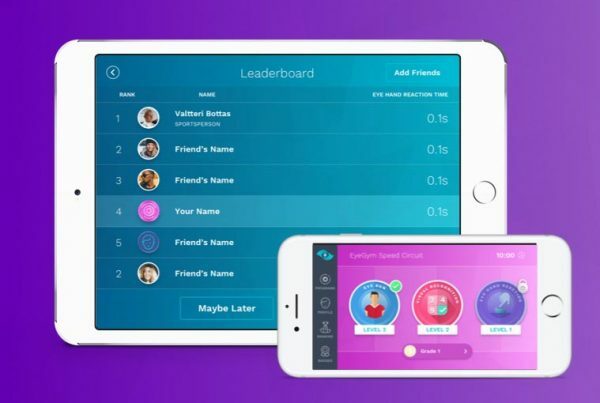 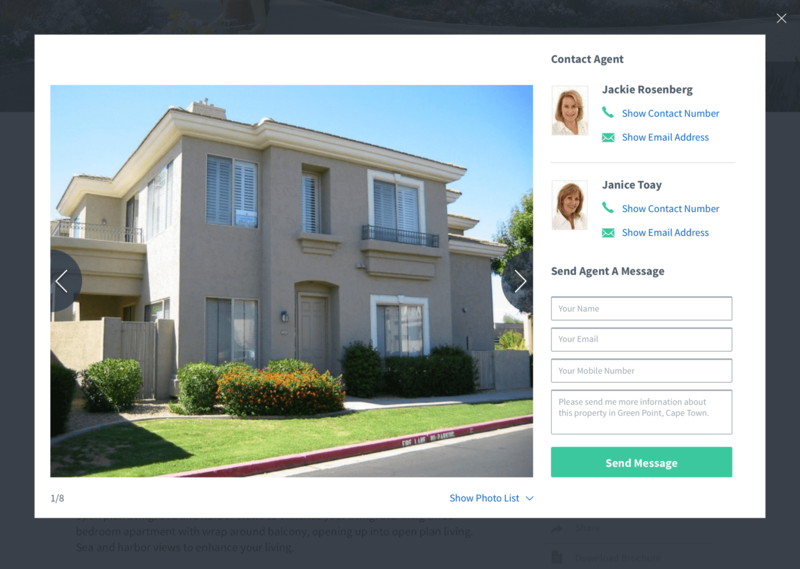 In close collaboration with the Property24’s product and data-analysis teams, Now Boarding crafted the user experience and user interface designs for desktop and mobile. 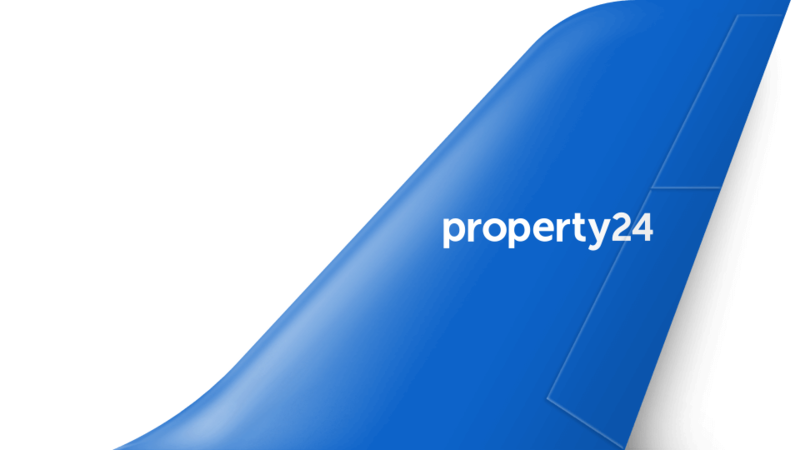 The Property24 brand has been subtly refined, with a brighter, friendlier colour pallet and clean, contemporary icons. 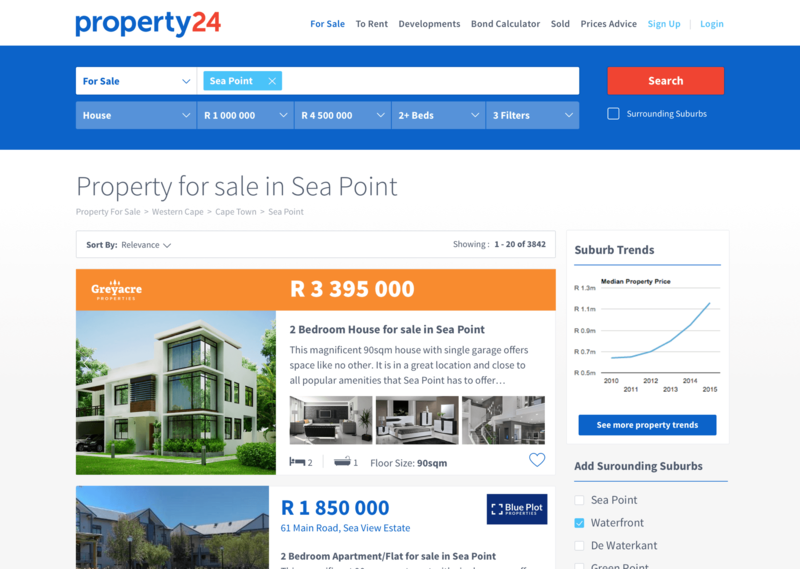 The property listings search results were designed to show a quick overview of information, yet still allowing the user to make a well considered choice. 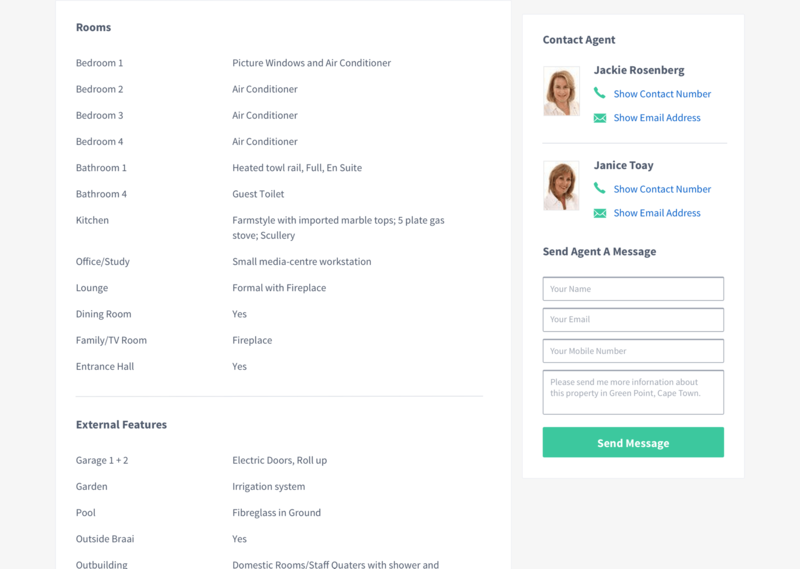 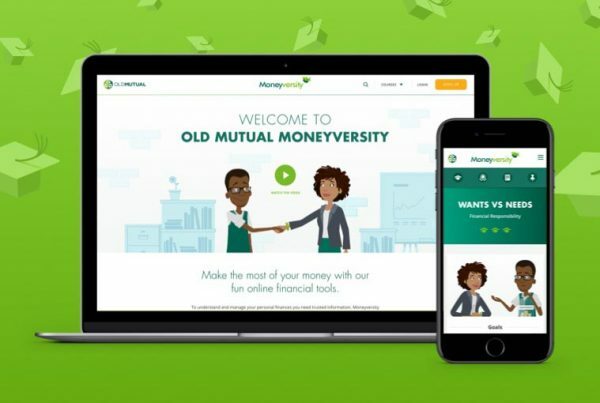 A selection of screens from the website. 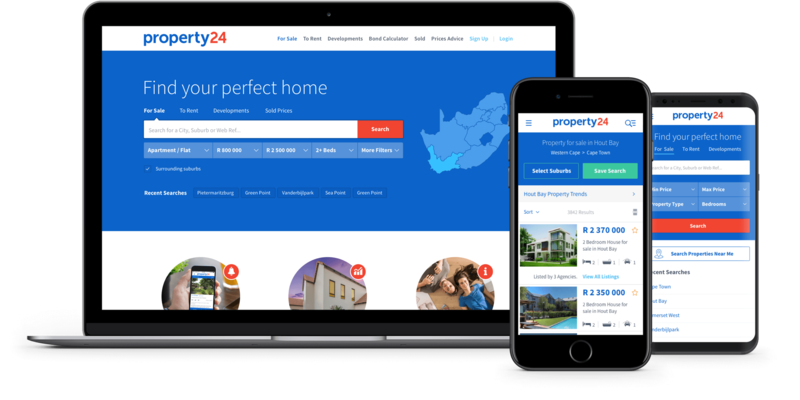 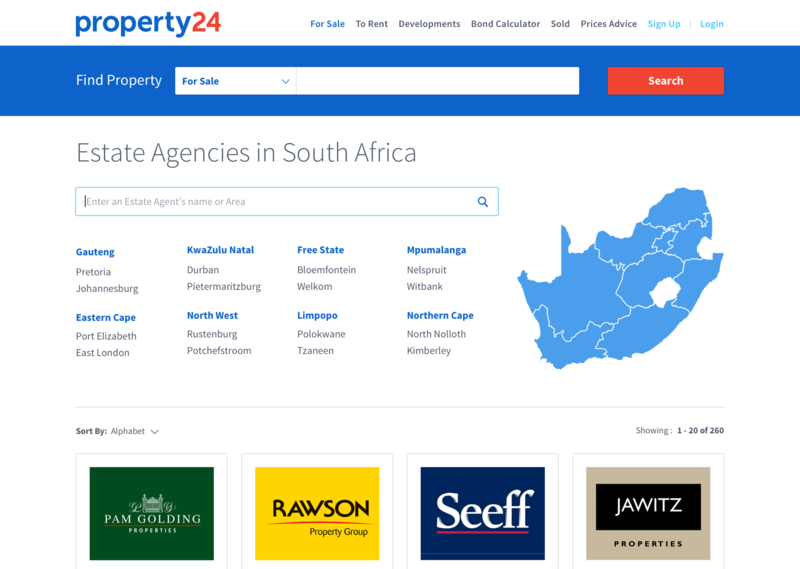 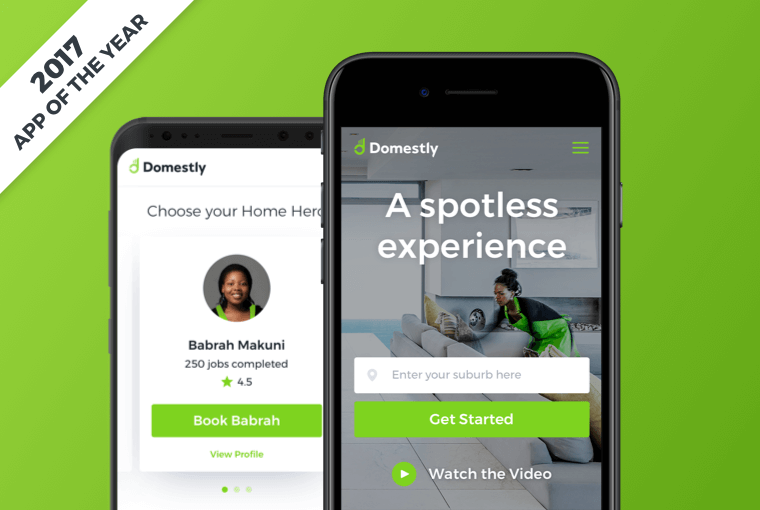 Property24 continues to further its position as the number 1 property website in South Africa, now 3x the size of its nearest competitor. 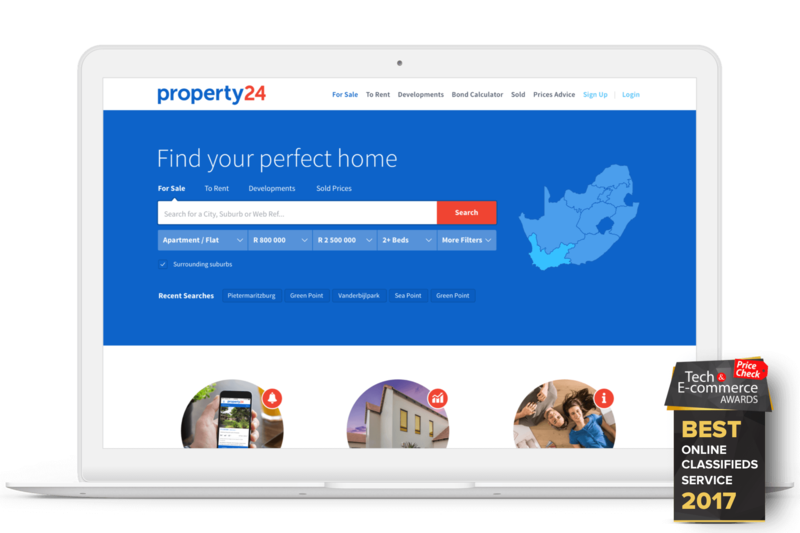 Property24 was voted the best online classifieds service, at the Price-Check Tech E-commerce awards 2017. 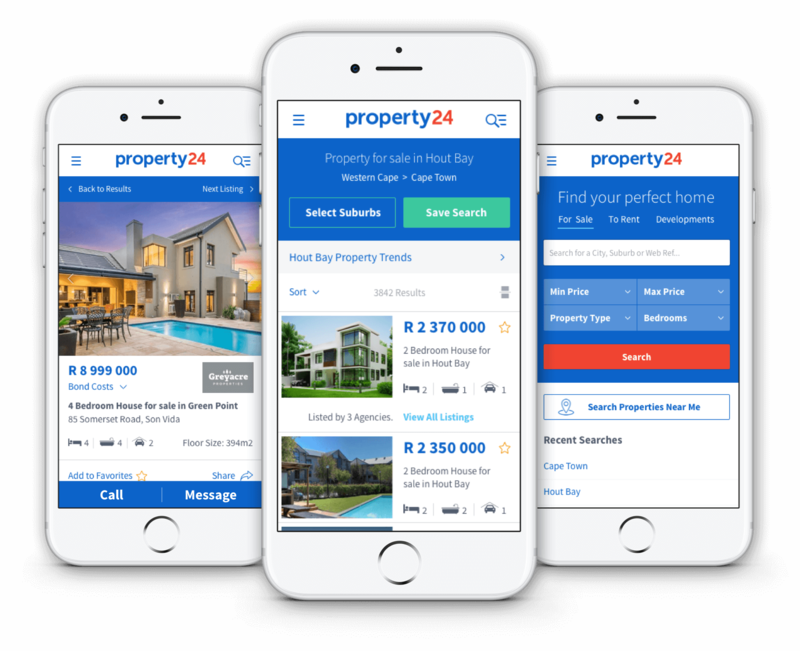 Property24’s iOS App was the Runner Up in the MTN Consumer App of the Year Awards 2014.